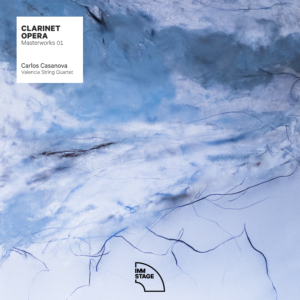 IMM Stage clarinetist Carlos Casanova releases his first album Clarinet Opera Masterworks 1 accompanied by the Valencia String Quartet. A journey where the “voice” of the mellow german clarinet will lead you along some of the most exciting operas melodies accompanied by refined string quartet arrangements. Recorded with high end systems in a historic location in the city of Valencia.